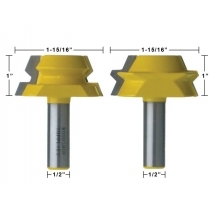 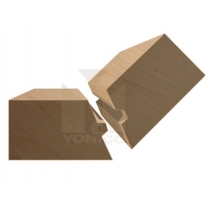 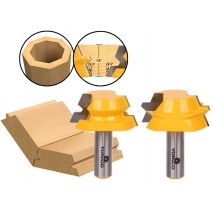 A lock miter bit creates an interlocking joint for solid wood boxes and columns. 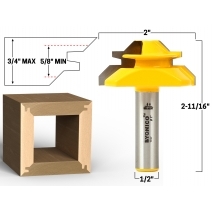 The joint offers plenty of glue surface, and our bits are available for 45-degree and 90-degree joints. 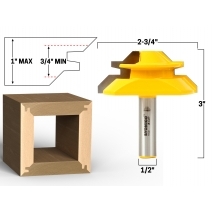 Depending on the size of the bit (small, medium or large), you can make lock miter joints in stock from 1/2" to 1" thick. 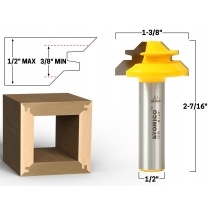 These bits are designed solely for use in a router table. 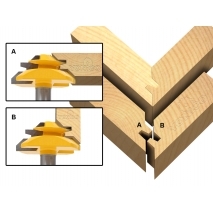 Do not install a lock miter bit in a handheld router.